National news that includes a teacher facing criminal or administrative case simply because of abuse of authority is quite sickening and discouraging. And, as a college teacher and a parent, I could only want to protect my own students and especially my own kid from any form of abusive teachers. RA 7610, a law protecting the child from any form of abuse, requires that kids shall be treated with utmost respect and care and any from of maltreatment and abuse can only be punishable. 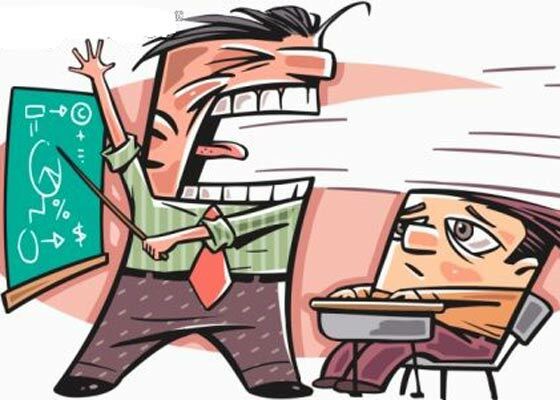 There are several local and national news citing that teachers do have sexual persuasions and/or engage in lasciviousness in exchange of passing grades. This incident is even complemented with teachers as drug pushers or implementors of physical abuse. So, as parent, we teach our kids to be vigilant and to inform us an the authorities for any exercise of abuse.